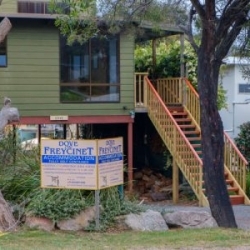 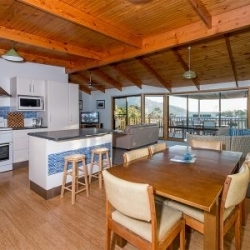 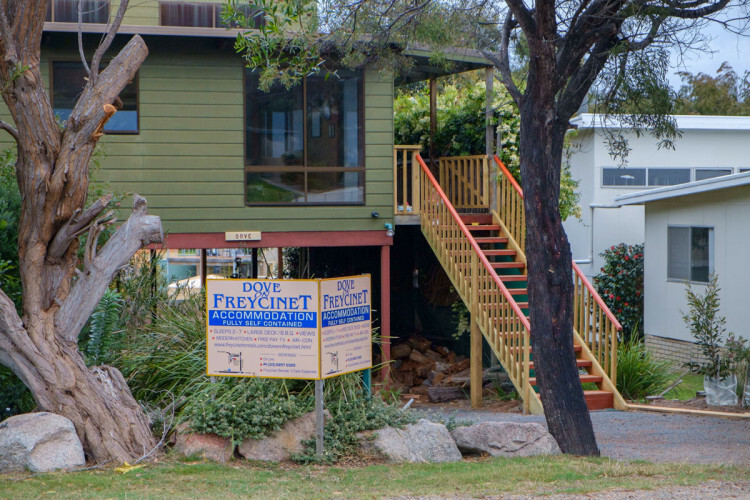 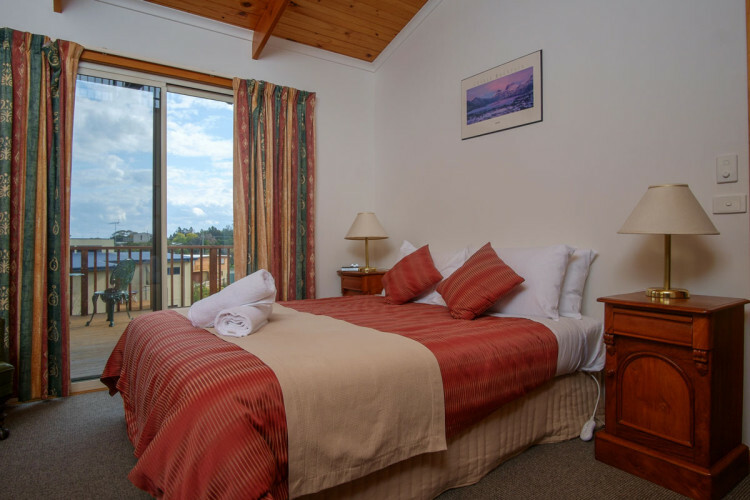 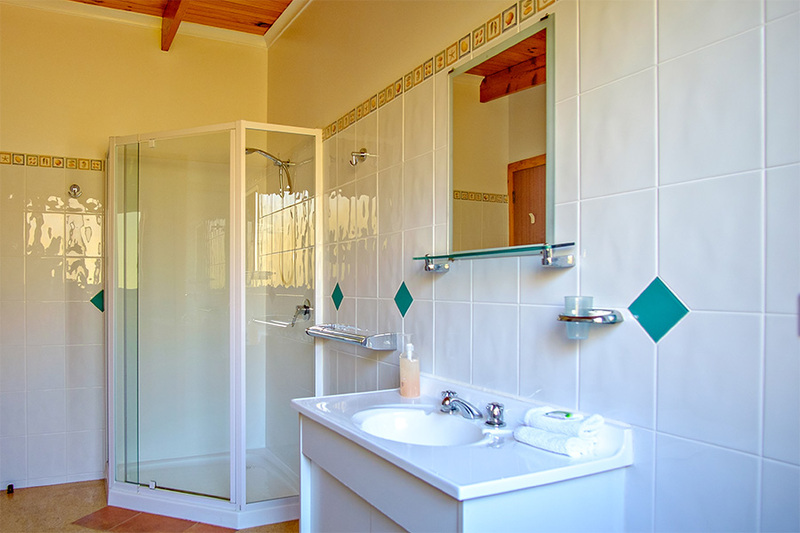 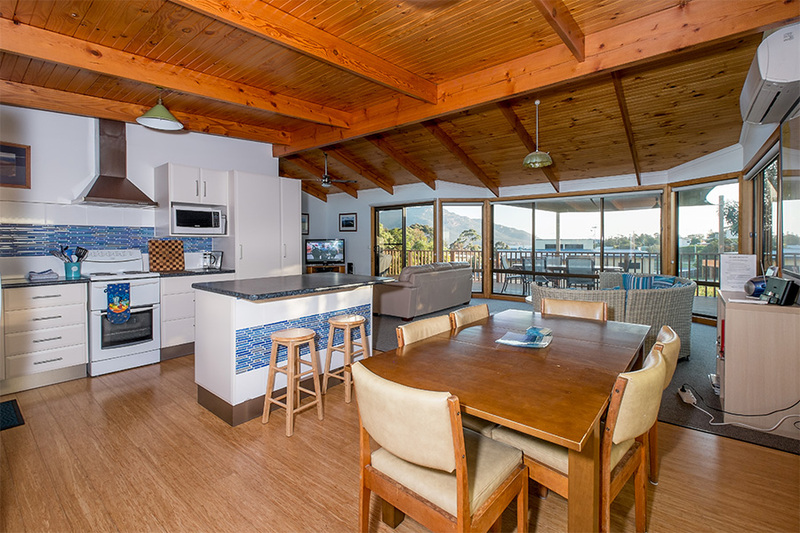 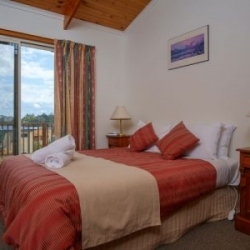 The self-contained holiday house has accommodation for up to 7 people in three bedrooms. 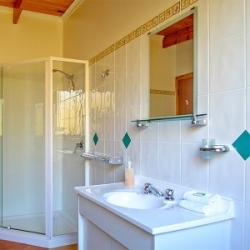 The master bedroom has a queen bed, en-suite bathroom, iPod dock, ceiling fan. 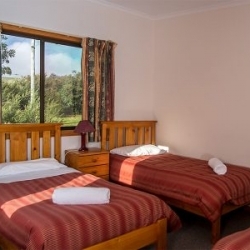 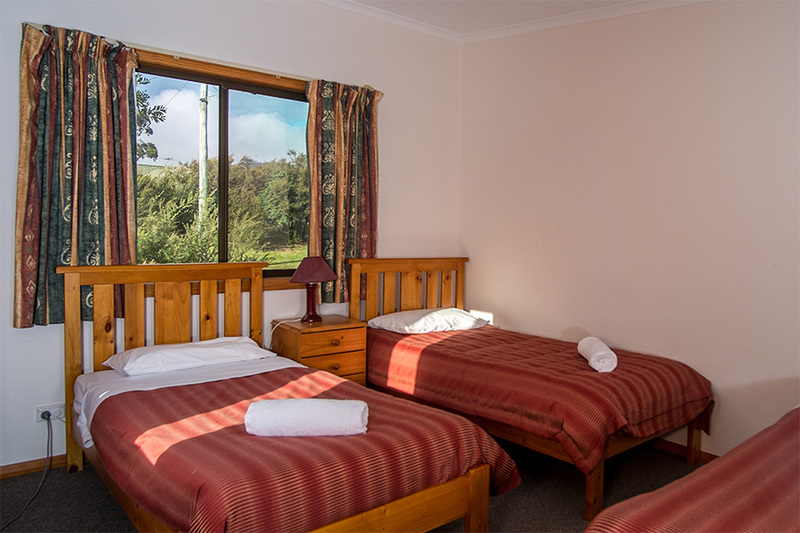 Bedroom two has a double bed and bedroom three has 3 single beds. 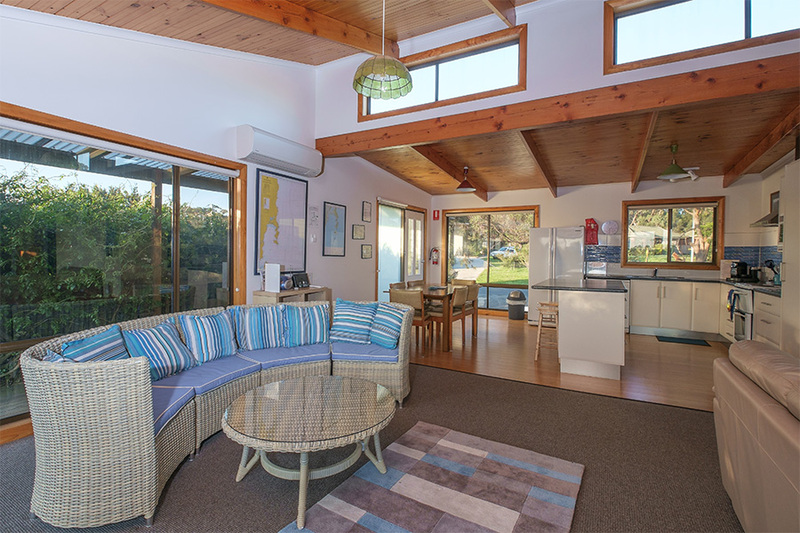 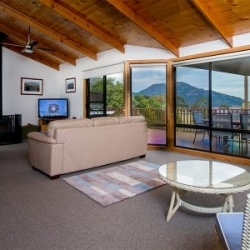 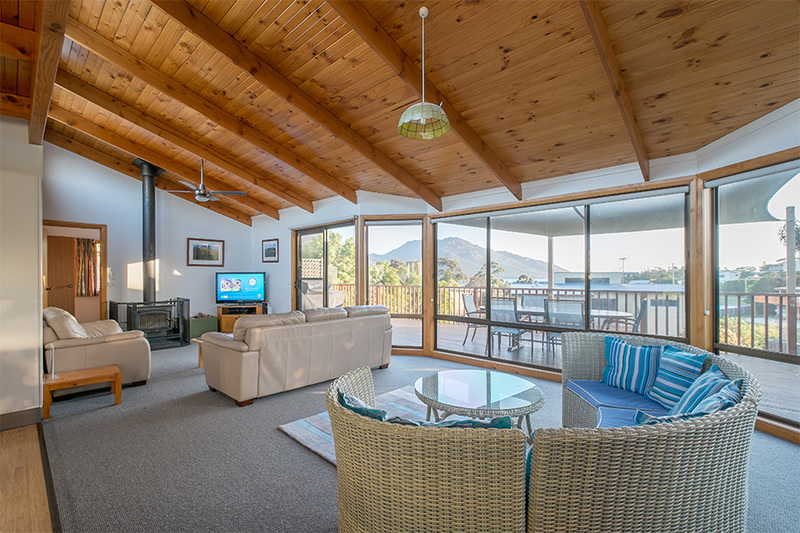 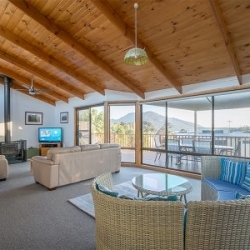 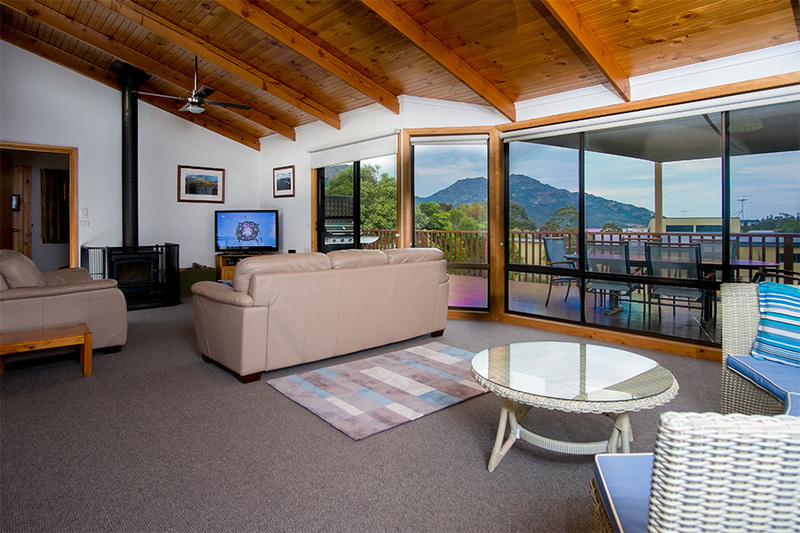 There is a very spacious lounge area with both wood and air con/heat pump. 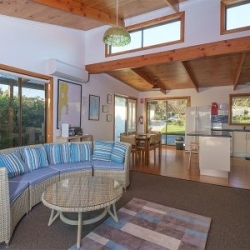 iPod dock, gadget charging station, Nespresso coffee machine are just some of extra in this holiday house. 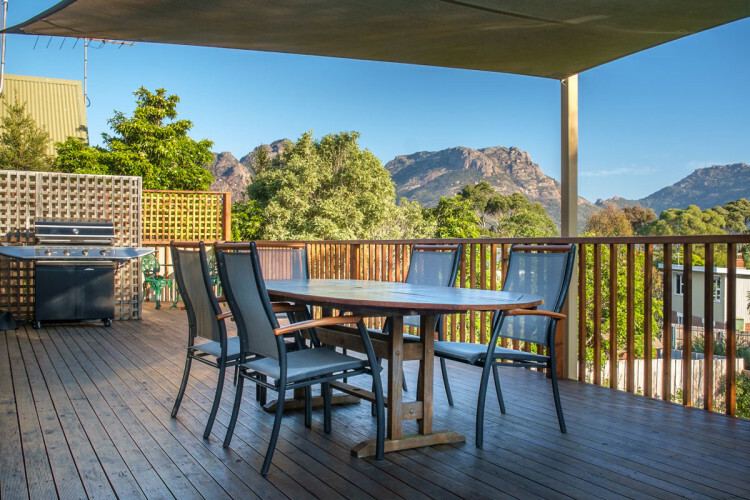 The large deck has a barbeque and outdoor dining setting that take in the magnificent views.